Monsoon Baby Care Tips – Monsoon season is here and it is raining and pouring all across India. Babies and young children needs special care during this season and we are today sharing 10 simple tips with you all to make sure you and your children are healthy and happy during the rainy season. Weather changes often and drastically during the monsoon season. It is important to keep baby clean and dry as weather can be humid. Humidity can lead to growth of bacteria which can in turn cause infection. So, give proper bath and then dress in loose fitting clothes. Also wipe often if baby is sweating. Also, keep checking for any fungal infection under arms, neck and diaper area. Breastfeeding is the best nutrition as well as medicine for a baby. For a baby less than 6 months, it is also needed to keep baby hydrated as baby does not have any water or other liquids, so keep breastfeeding often. It also improves baby’s immunity by passing antibodies from mother’s body to baby’s body. It becomes crucial to change diapers or cloth nappies during rainy season. The extra humidity can cause moisture to get locked specially in the nappy region and cause rashes and infection. Thus, ensure that you keep baby’s nappy region dry by changing diapers frequently. You can even give baby extra air time by letting baby go diaper-free when baby is at home. As discussed in the point above, it important to keep baby’s nappy region dry during the humid weather. So, whenever possible, allow baby to go diaper free while s/he is at home. You can use quick dry sheets to protect your mattress and other surfaces. Air time goes a long way in keeping baby rash free and healthy. Rainy season also gives rise to mosquitoes and it is important to protect baby from them. Best way for it is to make sure there is no stagnant water in and around your home so that mosquitoes do not breed. Clean water coolers regularly and remove all water when not in use. Keep baby dressed in covered but loose clothing. You can use safe for baby mosquito repellents like patches which can be applied on clothes and not on skin. Weather during monsoon can be tricky. It may be hot and humid in the morning and can get cold suddenly during the evenings. It is best to dress baby in loose fitting cotton clothing which can be layered easily. So, if the weather becomes a bit chilly, you can add a layer and if it gets hot you can remove a layer. Humid weather can lead to rashes and itching. Keep your babies nails trimmed so s/he does not harm self while itching. Bacteria can also harbour under the nails, so trim, baby’s as well as your own nails regularly. This is a hygiene habit for all seasons but is even more important during the rainy seasons when infections can catch you unawares at any time. Also, wash or disinfect your hands every time you are going to change or feed baby. You can also keep a disinfectant handy near baby’s cot, so that anyone who wants to handle baby can use it. Most of the infections get transferred through water, so ensure you give only boiled and cooled water to baby during monsoon season. Just like babies, toddlers and kids can also develop rashes and itches during the hot and humid weather. Change clothes often and give bath when needed. Infections often start with cough and cold and soon develop into stubborn cough which linger on for weeks. So, if your child shows any signs of cough and cold, treat it immediately rather than waiting for it to resolve itself. Young children are still developing immunity and do need help with these infections. As discussed before, dress children in layers, so that you can remove a layer or add one in case the temperature changes to cooler or hotter. Rainy season is notorious for infections and street food is the most common reason for catching infections. So, avoid eating open street food during this season and give those chats a miss. Toddler often play messy games and may frequently put hands in mouth causing germs to enter their bodies. teach them to wash their hands frequently, before and after food, as soon as they come back from park etc. 15) Always serve only fresh food during this season. Avoid eating stale / old food during this season. Cook food in limited quantity and finish it the same day. Kids can easily catch infection as their immune system is still developing. So, if somebody else has fever, cough or cold, keep babies and kids away from sick people. 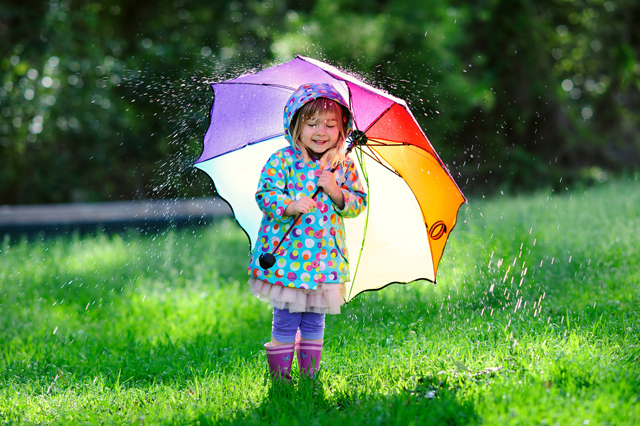 These are some common Monsoon Baby Care Tips for babies and toddlers. Do you have any other tips which you follow? Do let us know in the comments.